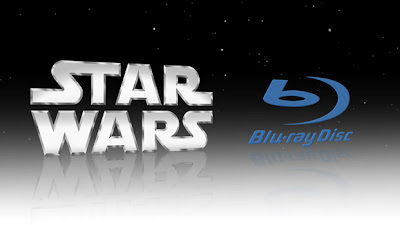 The Star Wars saga will be available in a Blu-Ray Box Set for Autumn 2011, George Lucas announced at fan convention Celebration V. Jon Stewart who chaired a Q&A asked Lucas questions submitted from the fan community, and one of the most frequently asked questions submitted online prior to the event was about the saga's release on Blu-Ray. "I wish I could say it was coming out this year," said Lucas, "but it will come out next year." The set will feature all six live-action Star Wars feature films in the highest picture and audio quality, along with extensive special features. The original trilogy will be the HD versions of the upgraded trilogy from 2004 and not the original theatrical versions. Star Wars fans also got to see a long-lost deleted scene from 'Return of the Jedi' that depicts Luke Skywalker assembling his green lightsaber prior to infiltrating Jabba the Hutt's palace. After completing the Jedi weapon, Luke stashes it in R2-D2's dome, which you can see in the player below.